Here’s a short guide to installing PublishPress for the first time. You will see the image below as a result. Click “Install Now”. 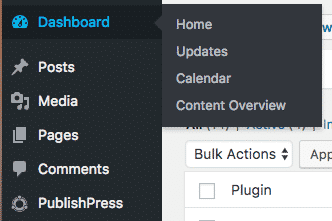 You will now see PublishPress in two places: as a link in the admin menu, and also the “Calendar” and “Content Overview” links under the “Dashboard” item.